America was told to remember, but it seems half of the Country has forgotten. We are electing muslims to Congress. We have turned our backs on our President, and on the military. America seems to have forgotten already. It really does seem like it was just a couple of years ago, not the seventeen it has been. I have received a couple of reports on a particular post in this thread. After reviewing the reports and the post, I did not see anything specifically disparaging, only an easily verifiable statement. Please refrain from reporting statements of fact. Stating a fact does not violate the site's rules. It is also important to consider that when a group's belief system is incompatible with our constitution, that that particular belief system is more than a religion, and becomes a system of government in and of itself. It is not disparaging to say that "XXXX religion does not believe in equal rights for women" if that is a simple statement of verifiable fact. One can easily see how such a belief system might run afoul of our constitution. I am of the mind that preserving our civil liberties takes priority over diversity and inclusion. Not that diversity and inclusion are bad things. We enjoy a tremendous variety of cultures here in the US. But those parts of any culture which are incompatible with our constitutionally protected liberties should be prohibited. To make it even simpler, if you disagree with the freedoms protected by our constitution, you don't belong here. Because we aren't giving them up. I am dumbfounded that someone would find that post a problem. Truth hurts some folks I guess. I just watched a replay of the conversations between the planes and the ground. Official and personal. I once again went from sadness to anger. Nobody in NY will ever forget. There are innocent bystanders, employees from nearby buildings, and Folks locked up in their own home that are dying of cancer due to the air quality on that day. 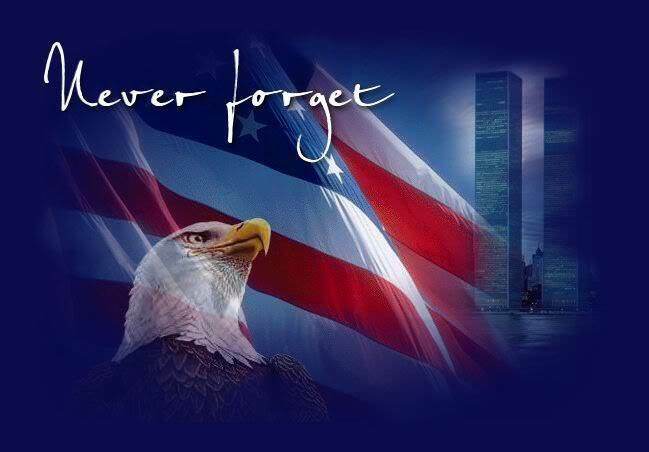 It has not just effected the families inside the towers, the plane, or first responders. Still ask why. still angry. Do you know what 05/01/11 is? No, refresh my memory please. Max, Bin Laden went to hell that day. Thanks nuke. I marked it on my calendar. That was a good day. Muslims have fought and died as US soldiers in every modern conflict. Anyone bashing their sacrifice is a disgrace that doesn't deserve to call themselves an American. Furthermore, the US Constitution expressly forbids religious tests as a qualification for public office. Anyone that has a problem with is at odds with The Constitution and might be happier somewhere without religious freedoms. Half of the population always turns their back on the whoever is president, even when they're not game show hosts. Hopefully no one will be offended by these easily verifiable statement of facts. My sister was working for Merrill Lynch back then and was walking to the world financial center when the first plane hit. She saw it and then called my dad. He told her to get home, he was convinced it was the start of a war. That was the last we heard from her for almost two days. I have never seen my dad so scared. Anyone bashing their sacrifice is a disgrace that doesn't deserve to call themselves an American. Anyone that has a problem with is at odds with The Constitution and might be happier somewhere without religious freedoms. Again, nobody here did that. one needs to ask what's really going on?